Bob's miscellany » Blog Archive » Where to recycle batteries, lights etc. 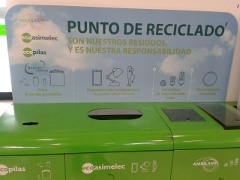 Where to recycle batteries, lights etc. Leroy Merlin do batteries, all bulbs including long fluorescent, small electric items. Same service now at Carrefour Lucena. 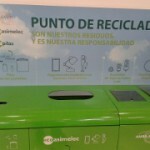 This entry was posted on Tuesday, May 24th, 2016 at 10:31 pm	and is filed under electricity, recycle, Spain. You can leave a response.